This is more spectacular than the Great Wall of China. I thought I’d start this blog on a good note. Seeing thousands of clay soldiers with different expressions, clothes, hair styles and even different shoes leaves a person speechless. Some of the more amazing ones are in individual exhibits in the same complex. The terracotta army is as good as advertised, and definitely worth a look. 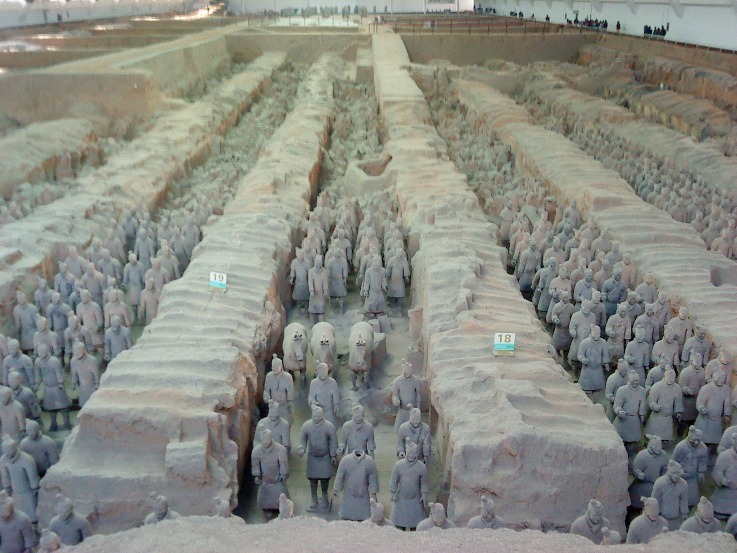 The First Emperor of China, Qin Shi Huang, thought that by building this army, he could be protected in the afterlife. The army was never meant to be displayed and was buried along with his body. It wasn’t discovered until 1974, even though they were buried in the 3rd century BC. Despite their dull color now, the Terracotta Warriors were originally painted by hand, evident in some of the more preserved soldiers. This particular emperor is the first to unify China as a whole, as well as the first to attempt to build parts of what is now known as The Great Wall of China.